As war rages over Europe, Barbara Sinclair is desperate to escape from her unhappy home, which is a target of the German Luftwaffe. Caught up by the emotion of the moment she agrees to marry John, her childhood friend, who is leaving to join the RAF, but a meeting with Simon Farley, the son of a local industrialist, and an encounter with Alex Everton, a Spitfire pilot, complicate matters. With rationing, bombing and the constant threat of death all around her, Barbara must unravel the complexities of her home life and the difficulties of her emotional relationships in this gripping coming-of-age wartime drama. 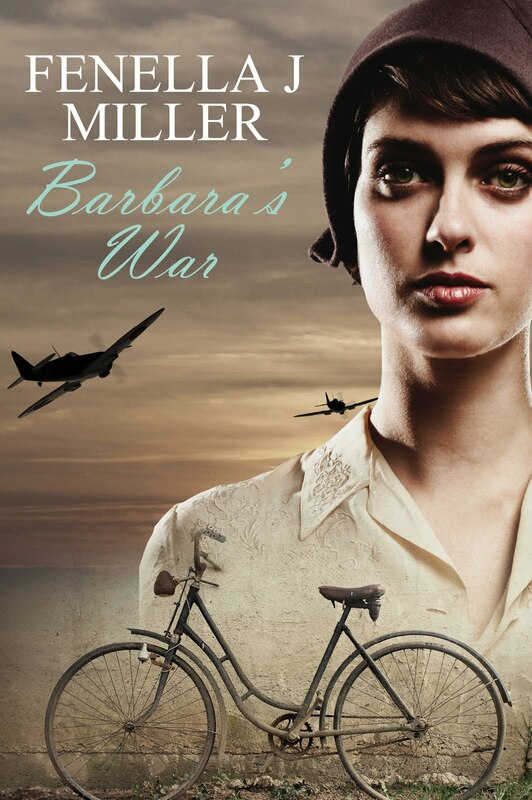 Barbara’s War is a novel about a young woman who comes of age in England during World War II. The first thing that is striking about this novel is the beautiful cover. It truly highlights the period. Something else I enjoyed was that the story was more about the characters and their conflicts rather than the historic details of World War II. The drama of the war years sits nicely behind the strength of the story, lending credulity and historical detail. The story unfolds with a gentle cadence and not too much drama. This is due to the fact the novel is character driven rather than plot driven. But there were moments throughout that were truly dark and gripping. When Barbara Sinclair’s two younger brothers are sent to boarding school to avoid the danger from German bombs, and her childhood boyfriend, John Thorogood leaves to join the RAF, she too wants to leave the doomed town. In an emotional farewell scene with Thorogood, Barbara agrees to marry him when he returns from war. Barbara sets out to find her paternal grandparents whom she has never met. Her grandfather, Dr Edward Sinclair, welcomes her wholeheartedly, but her grandmother is cold and distant towards her. Nevertheless, Barbara settles into her new life and enjoys the ease and comforts that come with wealth. Accompanied by her grandfather, Barbara is compelled to return home and that’s when her life takes a new turn. Two men are very interested her – Simon Farley, the wealthy son of a business tycoon, and Alex Everton, a pilot. Danger surrounds her and one of the three young men in her life will come to her aid. Lovely, flowing prose and well defined characters make this story memorable and romantic. Set against a tumultuous period, Barbara’s War is about one woman’s struggle to comes of age and learns who to trust and love in one of the world’s most darkest eras. A pleasant, enjoyable novel.